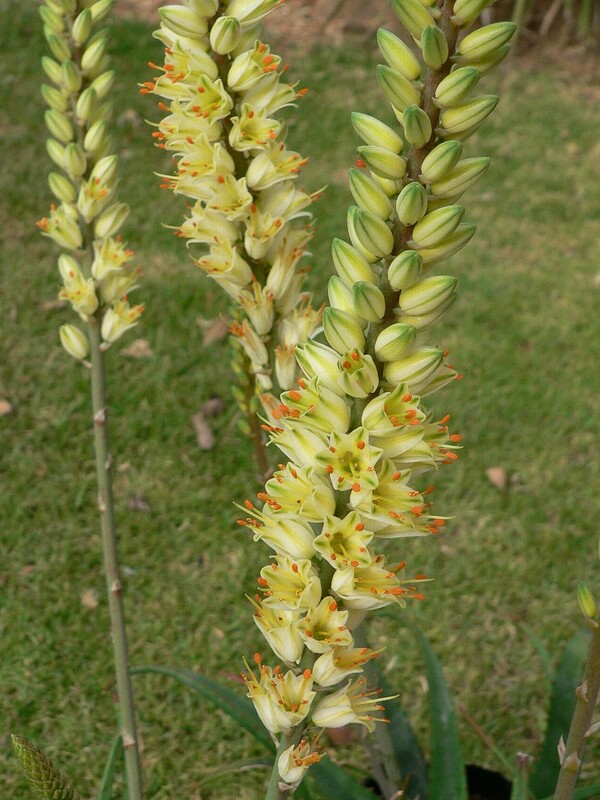 This wonderful little aloe hybrid has a very long flower season. Mature plants can produce flowers from as early as April to as late as August. The individual flower is unique, rather reminiscent of a chincherinchee. It has such a short flower stem that it appears to sit right on the peduncle, giving the raceme a very candle-like appearance. The greenish flower buds gradually turn white as the open, revealing bright yellow filaments with bright orange anthers that seem to jump from the flowers like sparks. The plant has longish green leeves with small side spines.